Probate Solicitors In Sheerness – How Can Probate Be Contested? Rates of contested probate reaching UK courtrooms have risen significantly in recent years and according to thisismoney.co.uk, one in four of us are likely to contest the will of a loved one if we did not receive what we felt due. There are many reasons for the spike in contested probate cases. One explanation attributes the rise to an ageing and economically secure baby boomer generation leaving behind considerable wealth and assets. This coupled with rising costs of living, inflated property prices and the prevalence of modern family structures all contribute to making disagreement and contention more likely. Challenging probate can be a tricky endeavour and many individuals will want to immediately know where they stand. Ratcliffes takes a personalised approach to every case, earned a reputation as the most trusted probate solicitors in Sheerness and North Kent. We understand that the process of contesting probate can be a tumultuous time between you and other family members and you will want to know what grounds you have. 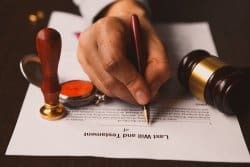 Probate can be challenged on grounds that the deceased may have not been of sound mental capacity to set out the terms of the will when it was made. To prove that the will was invalid, this claim would need to be backed by substantial evidence that the deceased’s judgement was affected by a severe mental or physical condition. Lower mortality rates among the UK’s ageing population has lead to a rise in mental and physical conditions such as Alzheimer’s disease. Consequentially, it is now very common to see probate being contested under diminished mental capacity as a result. Undue influence is a term used to describe how a will can be challenged if a person has been proven to have coerced or manipulated the testator into changing a will to include more favourable outcomes for themselves. Usually, this claim can be triggered on the basis that someone outside of the immediate family is left with a suspiciously large part of the deceased’s estate. 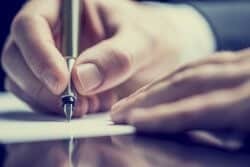 Although one has the right to include whoever they wish in their will, a claim could be made that certain dictations were the result of someone trying to influence the terms of the will. The vulnerability of many individuals at old age often leads to undue influence claims being staked. If a will is felt to be unrepresentative of the testator’s wishes due to negligent will drafting, then it may be challenged. There can be many grounds under which probate can be challenged including claims that the draftee has misunderstood instructions, omitted significant areas of the estate from the will or made clerical errors in the clauses that distort the deceased’s intentions or make them ambiguous. 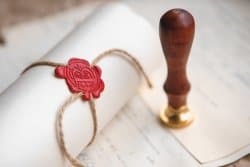 The validity of a UK will is set out by section 9 of the 1837 Wills act and insists that a valid will must be in writing, signed by and have the genuine intentions of the testator (the latter point of which is the basis of the majority of challenges). This also highlights the value and importance of quality will writing services.